Your brand is essentially how your customer perceives your business. Your brand is not just your business logo rather, a number of attributes that mesh together and elicit an emotional response from your customers towards your business and its products and services. When you are beginning to build up your business online, there are a number of ways to help you start building your brand presence. These tips don’t just help your brand, they also make good business sense as they reflect sound online business practices. Branding is all about customer experience. When a customer visits your website what experience will he or she get – positive or negative? First impressions are extremely important so try to think about your customer’s online journey – from start to finish. For example when a customer lands on your website is it professional looking? Have you paid attention to detail making ensure there are no spelling mistakes, broken links or out-of-date news? Can your customer navigate around your site easily to find what they are looking for? If you customer needs advice or help will they receive good customer service and a quick response? 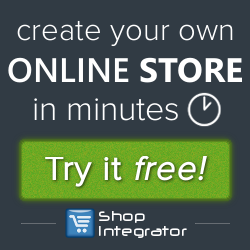 Is your online shopping cart and checkout secure, efficient and easy to use? Customers who have a good experience more likely to leave with a positive image of your business and therefore far more likely to come back than a customer whose experience has been poor. A fundamental part of branding is customer trust. Right from the very start you need to be looking at ways to establish your online business as trustworthy. A long-established, credible brand is able to convey trust to its customers simply through the power of its brand image. Unfortunately however small businesses and start-ups don’t have that luxury so you will need to work harder to establish trust and make customers feel secure on your site. Having a brand personality can help set you apart from you competitors giving you a competitive advantage. People want to deal with people and so giving your business a personality is a great way of building your brand identity. Businesses that have a human element are more likely to be able to build an emotional connection with their customers and consequently generate loyalty with strengthened customer relationships. Use your social media to give your business a human face. This is where social media comes into its own, it gives you the chance to interact directly with your customers and build a two-way dialogue. Blogging and email are also great tools to use to help get your business personality across to customers. You want your customers to love your website and all it has to offer. Content is integral to successful customer engagement, which is in turn is central to building your brand. Quality content will engage your customer, bring them back for further visits, reinforce your brand as professional, informative and authoritative and help with your SEO which increases your brand awareness and recognition. So think about ways to keep your online content fresh and informative to help engage customers. For example this could be through implementing things like new feature and product updates, informative articles, video tutorials, weekly newsletters, blogs, social media competitions and press releases. When you are starting out building up your online business, it is important to implement some consistency across certain areas so as to reinforce brand recognition. For example starting at a basic level, keep your logo consistent and use it on everything associated with your brand. Make sure it is present and consistent from your letterheads to your social media pages. Try to also use a consistent colour theme. For example Cadbury’s purple is so synonymous with the brand that you almost don’t need to see the word Cadbury to recognise it. So keep the colours on your website, social media, blog, email newsletter, flyers, banner advertisements and so on as consistent as possible to increase recognition of your brand. You all so need to be consistent when it comes the message you are conveying to your audience. Of course your tone and approach will change depending on your audience and communication channel, however your underlying brand message and brand values should remain consistent – you shouldn’t be sending out mixed messages about your business. By starting to think about your brand at the very beginning and implementing some of these simple tips, hopefully it won’t be long before you create a solid, recognisable business brand to your customers – increasing sales and growing loyalty. We’d love to hear your thoughts and experiences on this topic, so do please leave a comment.